I finally finished this ginormous quilt last week and it is so big I can't hold it up alone; even Chris struggled to hold it up for the photograph. 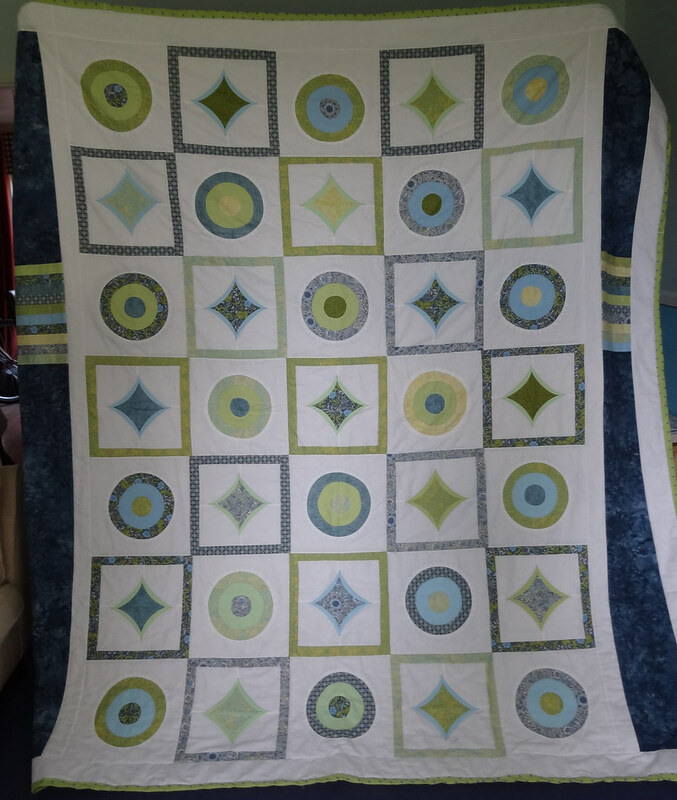 I am so happy to have this quilt sitting on my bed, as my first full size quilt, it has been really exciting! Jennie, it's a beautiful quilt. Well done you!! !